Following his recently sold out tour at Electric Brixton London, Invisible Wind Factory, Liverpool and Marble Factory at Motion Bristol, Sonny Fodera gets set for a crossover smash in the form of Into You via his label Solotoko alongside revered singer-songwriter Sinead Harnett. Boasting mesmerizing synths and Sinead Harnett's sultry sophisticated vocals, Into You leads into a weighty yet compelling drum breakdown amongst enchanting lyrics making for an exhilarating combination. Appealing to all audiences, Into You is set to entice radio listeners whilst still making an impact on the underground scene globally. 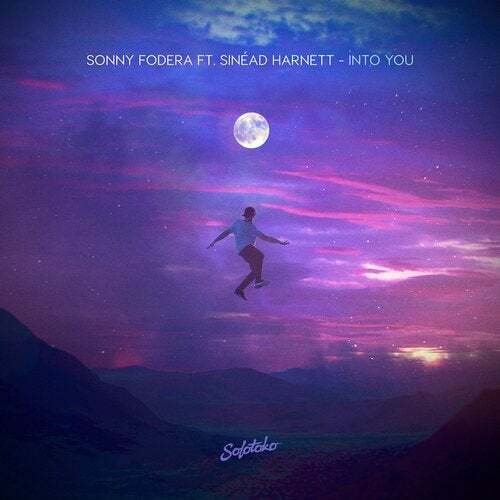 Co-writing Into You with Sinead Harnett in London, the single came into fruition following Sonny Fodera's massive remix of her track Unconditional, surpassing 2 million streams and counting. Sonny's international influence on the scene has also recently seen him remix Calvin Harris' Promises with Sam Smith which racked up an impressive 10 million streams in under six months, whilst his recent originals have been flying up the Beatport charts with his Insane EP sitting in the top 5. Continuing to resonate with listeners the world-over, 2019 will see Sonny Fodera play at Coachella and EDC Week Vegas whilst hitting the road for a N.America spring tour playing in New York, to Los Angeles, San Francisco, Mexico City and more whilst treating his loyal UK following to sets at BBC Radio 1's Big Weekend and Parklife in the summer. Add to this a number of well received releases on his own Solotoko label as it currently sits at no.7 best-selling label on Beatport, and it's clear to see Sonny Fodera has become an innovating artist in demand.